Details: Another picture from new contributor Les Savine, again taken at Morden station on 10th August 2008. 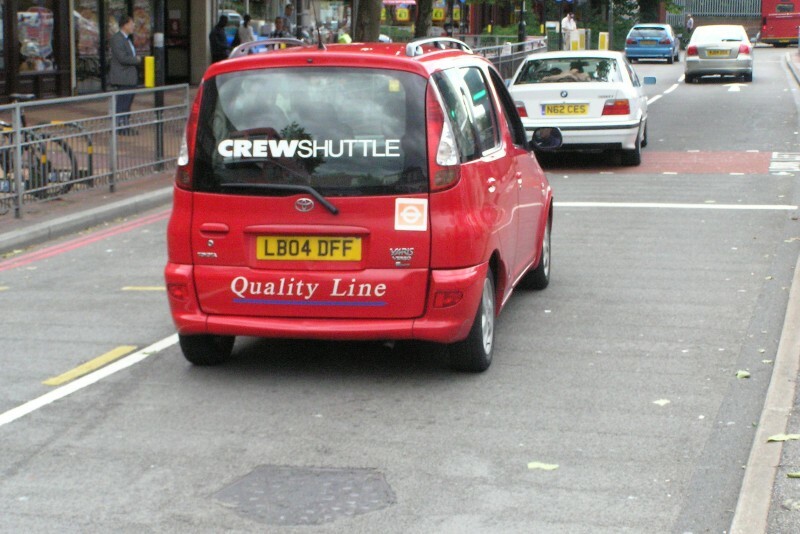 The subject is Toyota Yaris Verso car LB04DFF of Quality Line (Epsom Buses). The Verso variant of the Yaris is significantly taller than the base model. Note the prominent rear lettering, including some Stenning-esque mixed typeface weights!